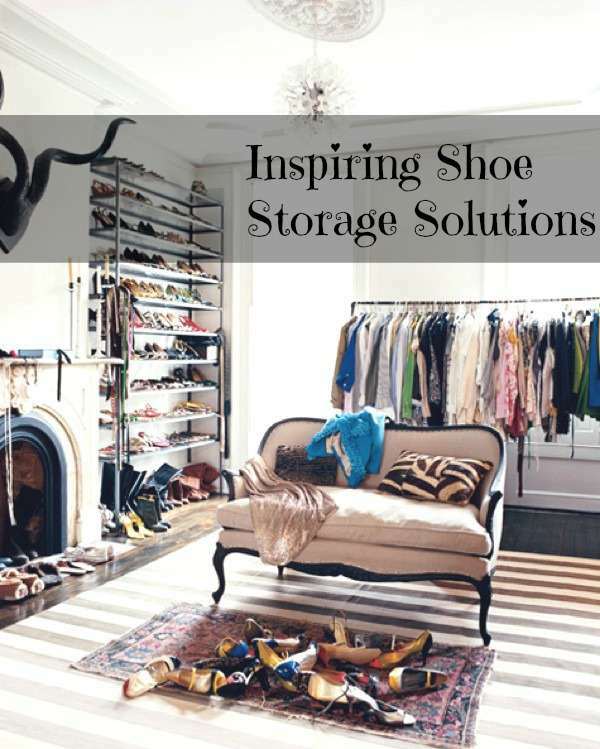 Too many amazing shoes… too little shoe storage space? Or is it just that you haven’t thought outside the box… or better outside the cupboard. I have been straggling with arranging my shoes, clothes and coats season after season and have done some major Spring cleaning which I have regretted. So, this year I turned an extra bedroom at home into an office- closet. Now, there is space in my small walk-in closet to have everything I wear everyday arranged by color. Best idea ever for casual clothes. Regarding skis, oversized winter jackets, boots and bulky staff you can find a great storage company and forget about them for a few months. I have a small addiction for designer bags, all colors leather jackets and a huge obsession with amazing designer shoes. Almost everything I shop is meant to stay with me for a long time as I opt for good quality and timeless designs. So space is never enough and looking at closets and storage ideas is always interesting and fun. 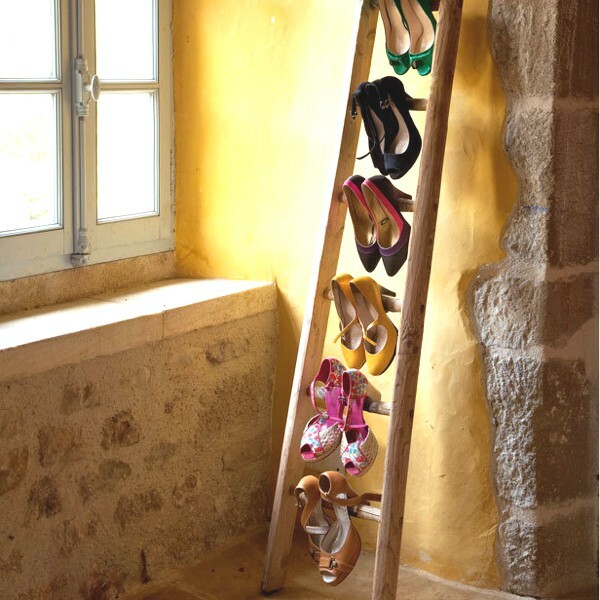 I hope you will enjoy my latest discoveries on the hot subject of shoe storage solutions. 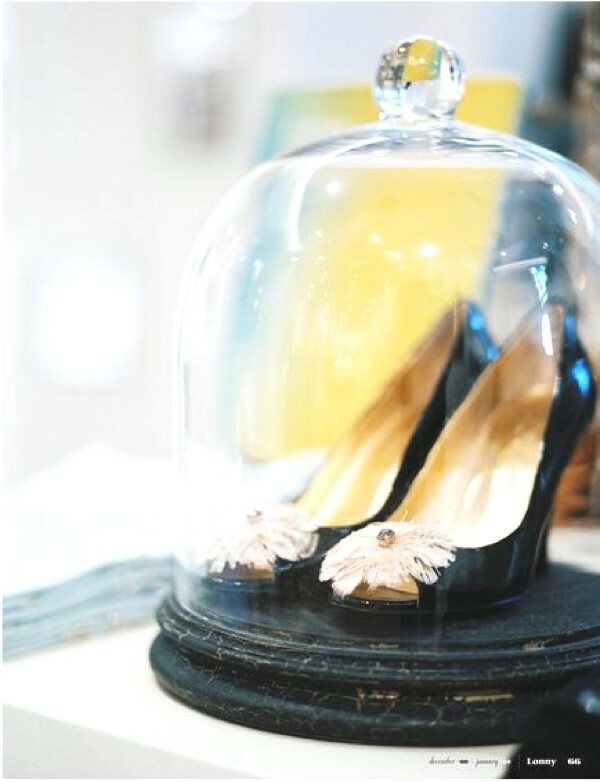 Love the shoes under glass! I wish to have a closet like these pics someday! Those shoes under the glass are magical. Thanks for this. wow at how these shoes are stored!! i wish i had my own walk-in-closet!! love this, my dream is to have a beautiful walking closet!! I’ve been thinking about the shoe conundrum too–I managed to get a free entertainment center when our office moved, so I now have a little space to line up my boots, but still need more, more, more! I like the ladder idea! You are a genius! I love, love, love this! So many clever ideas-thanks for sharing. Happy Nesting.